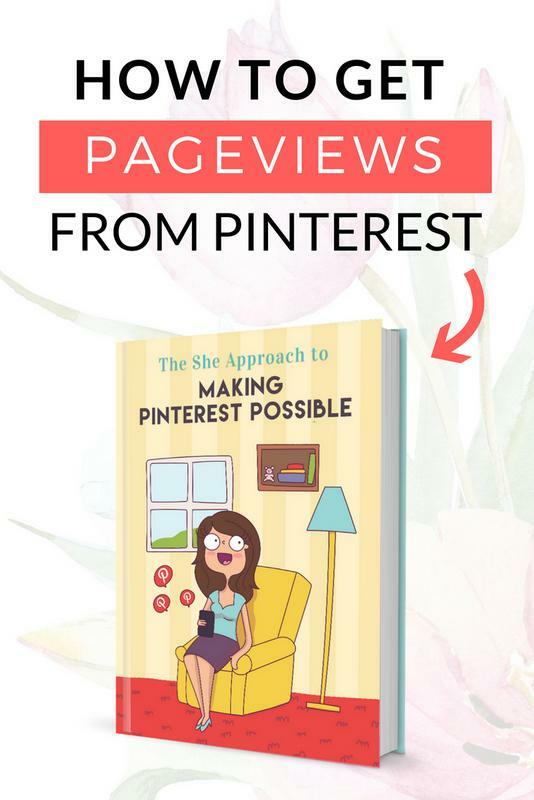 In this tutorial i will walk you through the process that i have used in one of the design projects i finished recently . 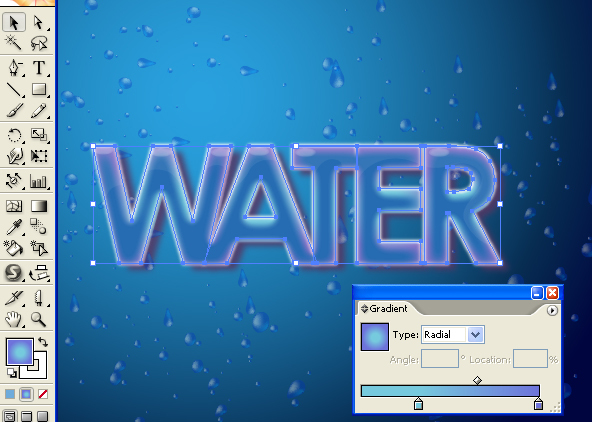 You will learn how to use mesh tool to create water droplets , use the symbol sprayer tool using symbol of water droplets and dispersing them . The effect seems to be a bit detailed while it is not that difficult to get the result . 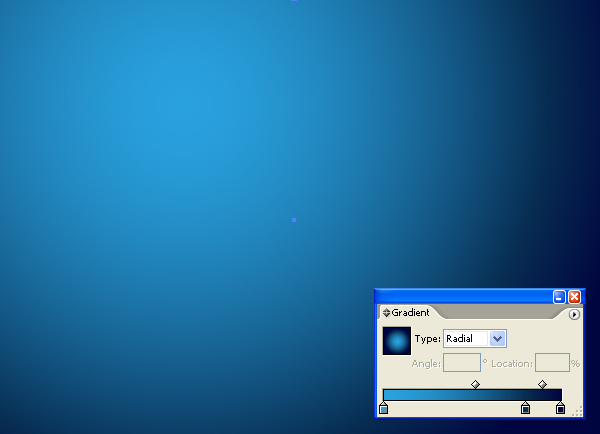 Here is a preview of the final image we will be creating by the end of tutorial . 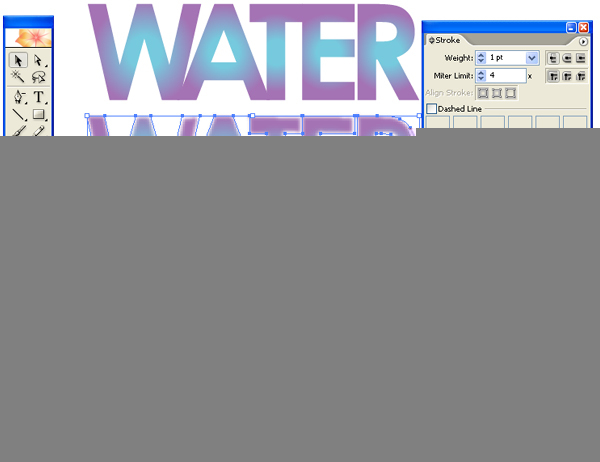 For this vector tutorials illustrator Lets start by creating water droplets . I created a circle used mesh tool to divided it with two clicks > dropped a lighter and a darker shade on the nodes of the circle. 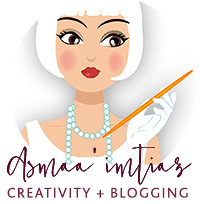 If you are not familiar with Mesh tool check out this tutorial that i wrote about using mesh tool , i love this tool! 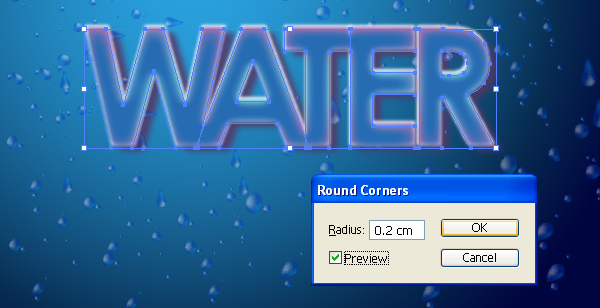 Once a circle is created now we need to create random shapes of water , Use Wrap tool and play around with shapes to gain a few random droplets . 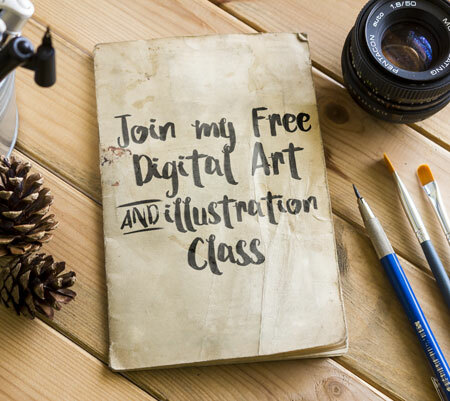 If you are not familiar with select tools in illustrator you might consider heading on over to this tutorial where i cover some of the basics of illustrator. Randomly arrange them. select all and drop it into your symbol window. 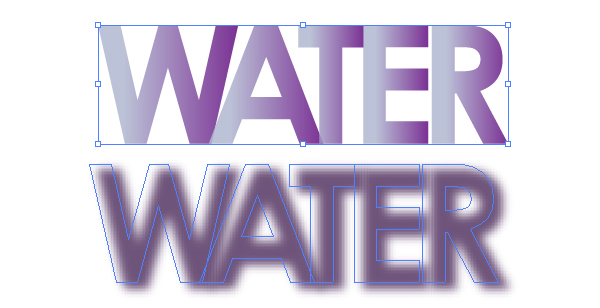 Create a Rectangle and fill it up with a gradient colour lighter to darker and radial. 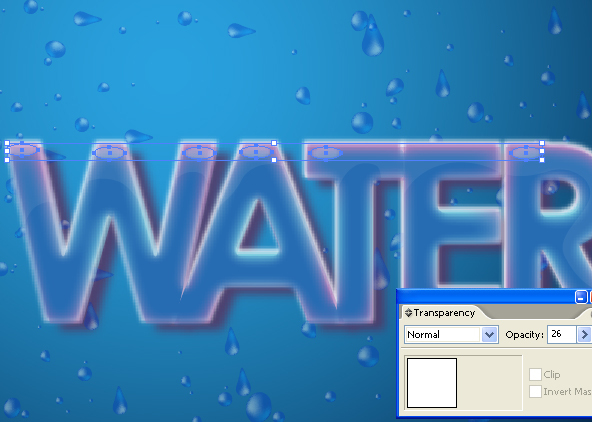 Drop the water drop symbols on your work area . 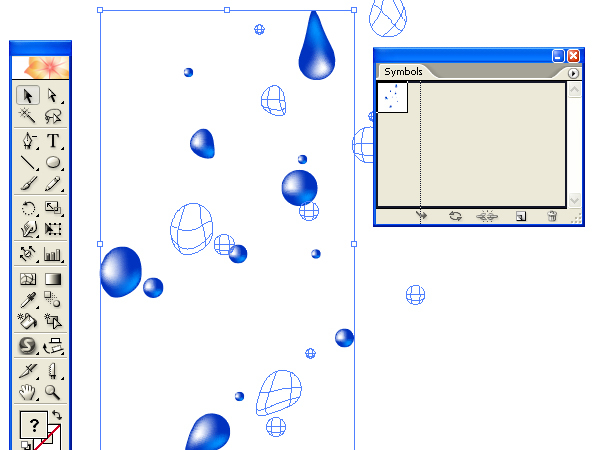 Use symbol sprayer tool to play around with the symbols and randomly distribute the droplets. Here I Reduced the transparency of the entire group and reduced the size. 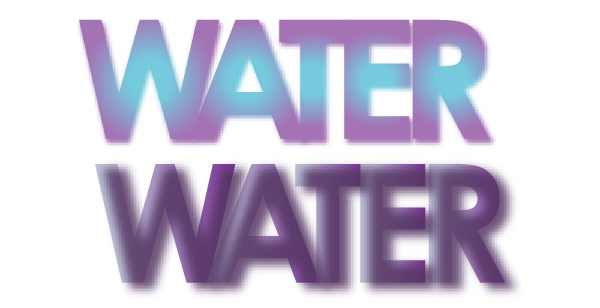 Create a copy , rotate a bit to get a more dispersed effect. 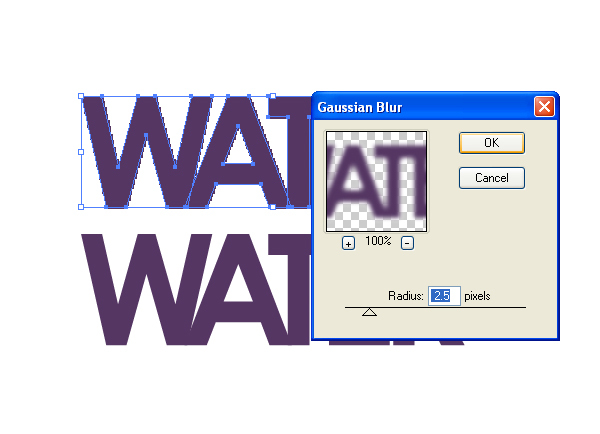 Create five copies in all save one for later use , colour and gaussian blur as seen below four of them. To one of them i applied a stroke of the art brushes ( line Art 50 right) and gave a stroke of white colour.. Here is the arrangement one clear copy goes over its guassian copy. To the fifth copy that we saved apply feather as seen below. 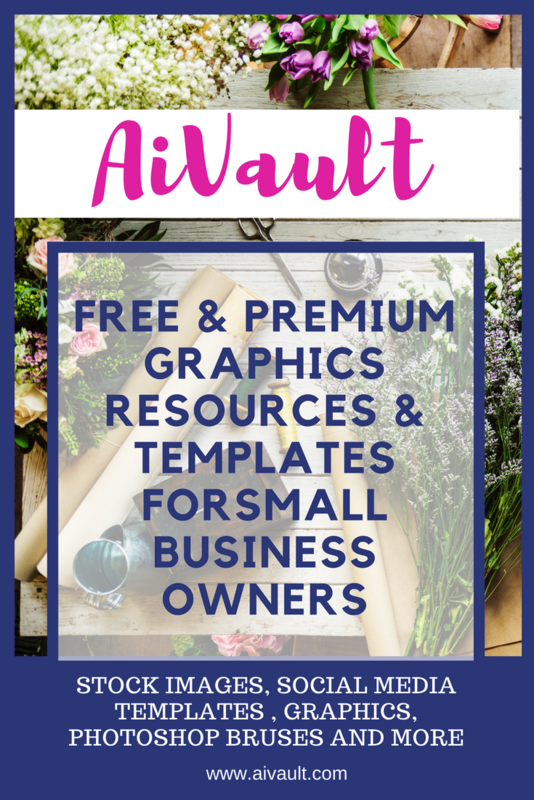 This MAY very depending on your document size. 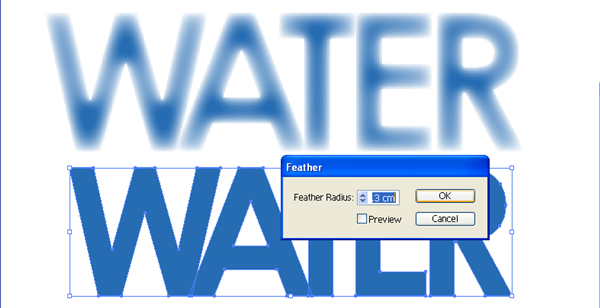 Place the feathered text over the top most layer. Effects> Stylize > Round Corners . Use Round Corners to give the top most layer a soft look. 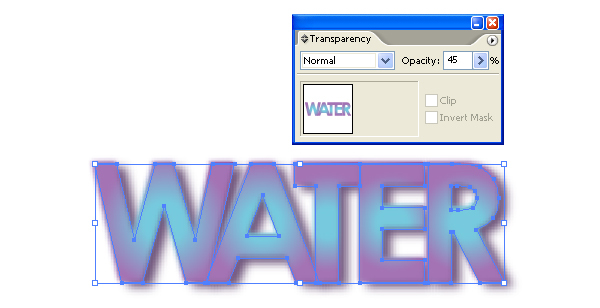 you can adjust the colour of the water by playing with the text layers and setting up transparencies . 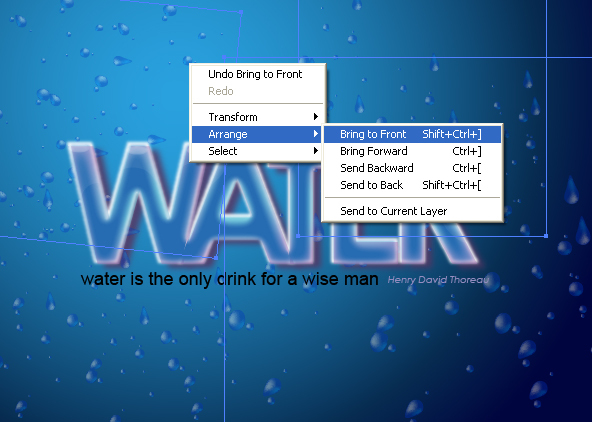 elect the water droplets and > Arrange > Bring to front. 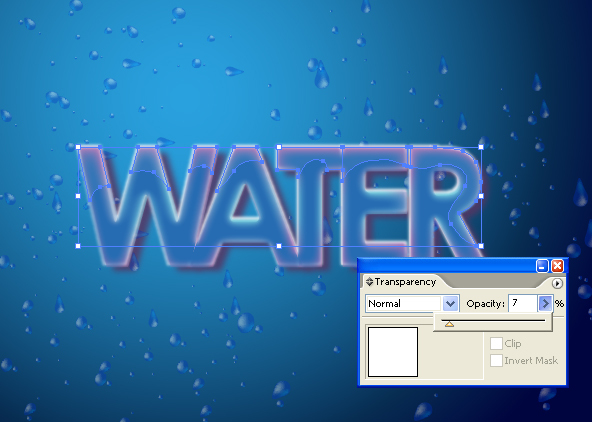 > set opacity. 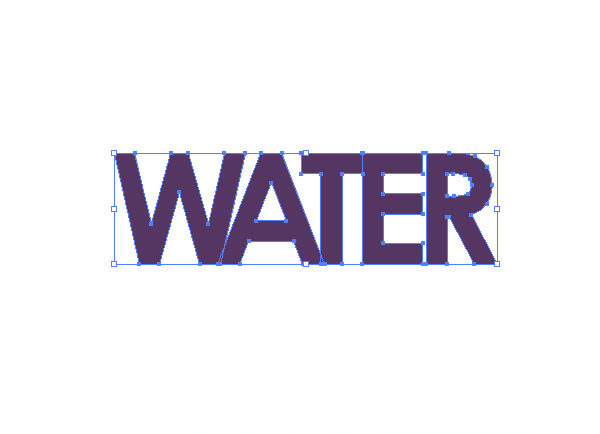 Want to learn more about a few of adding effects to text in illustrator ? 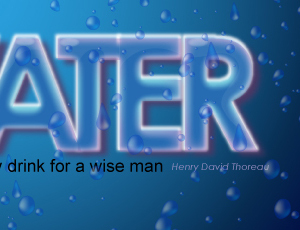 you might be interested in how i gave a grungy effect to some text . 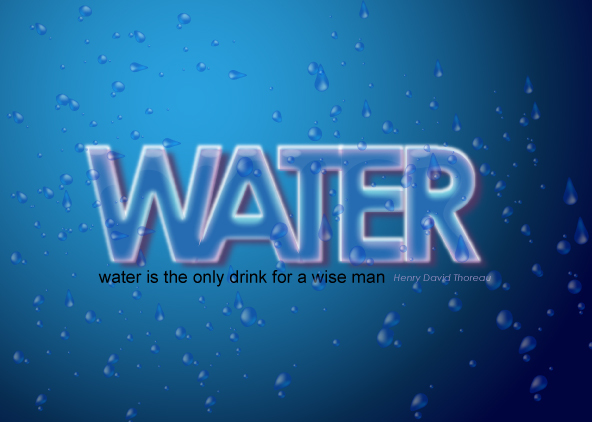 The effect is simple yet it is rewarding. Save for later Share it! 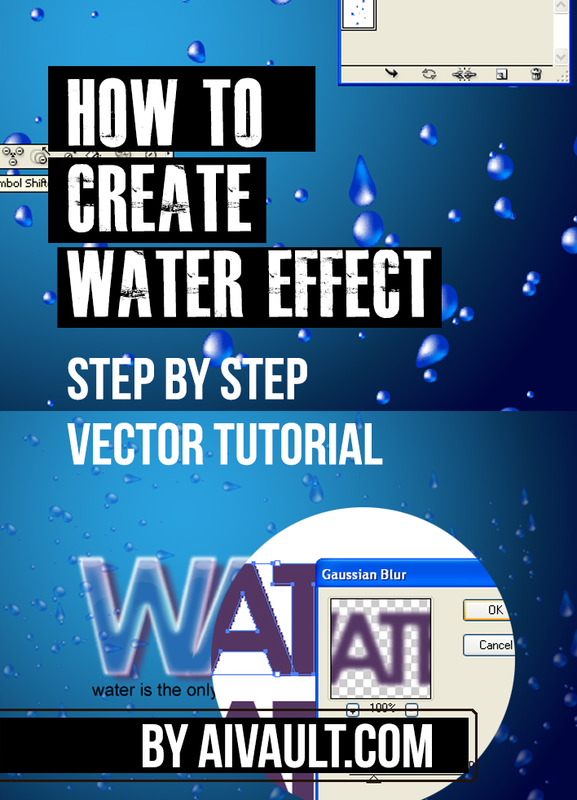 You May also like Some more vector tutorials illustrator withText Effect !